Invisibility is great for superheroes and villains. However, it is not good for businesses promoting their brand on the web. If a website is not optimized properly it causes a website to be invisible to potential customers in search of the available products or services offered. By ensuring that a website has the required keywords within its content improves its visibility, ranking, and helps to direct targeted traffic to its page. In general search engine optimization (SEO) is the process of enriching a website with relevant keywords for search placement improvement. It is estimated that 90% of traffic is found by using a search engine such as Google. 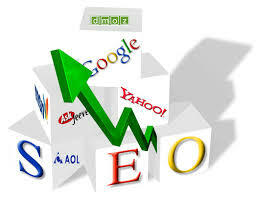 Your search engine placement or search engine ranking determines the amount of traffic flow received by your website. More traffic equals more potential customers. Without customers, there are no sales and no profit. This is why SEO and higher ranking is so vital to a business’s success. The web offers an abundance of information on how to improve search engine placement. Some methods provide immediate results, while others are simply a waste of time. In the business world time is money. To ensure that time and money are spent wisely, businesses in search of search engine placement improvement can rely on Top of Google. Top of Google are SEO experts. They create and distribute organic search engine optimized press releases that enable their clients to achieve two new listings on the top page of Google each month. Results are immediate. To speak with a Top of Google representative call (877) 867-6346. For more information about search engine placement.